Edmonton garage demolition companies realize as Edmonton grows denser and our zoning rules grow to reflect our changing landscape garage suites will become much more popular. If you’re ahead of the trend we’re happy to help! Infill Demolition loves doing garage demolitions (even single car garage demolitions) – a statement many large demolition companies are not willing to make. Whether it’s a small single car garage from the 50’s or a large double garage give us a call. The permit process and bin coordination can be confusing and costly if not done properly. 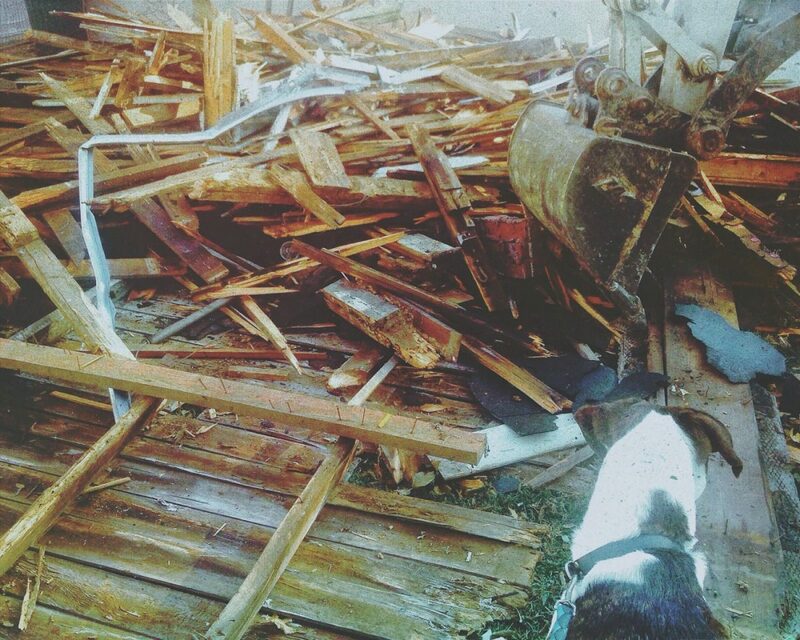 Using a professional demolition company will allow you to relax while we do what we do best! Infill Demolition is proud to say we’re one of only a few Edmonton garage demolition companies that can offer prices competitive with sole proprietors on Kijiji for this same service. The reason? We’re built for tight spaced infill demolition projects. We are not inconvenienced by small demolition projects. We also provide the peace of mind that comes with a professional company as we put our name behind every project we do. We will not let you down! So, whether you’re looking to rebuild your new garage yourself or you’re working with a garage rebuilding company give us a call and learn what we’d cost in comparison to the competition! Whether you require a single car garage demolition a double car garage demolition or anything in between! Give call us or use the template below to get a free quote. Once you’ve filled out the template below we’ll give you a call a set up a time to meet on site. After we have an idea of your timelines and the projects scope we’ll provide you with an exact quote and estimation of how long it will take. Infill Demolition will handle the site preparation, demo, clean-up, dumpster coordination and recycling, which will all be included in our standard quote.